Hip Baby Blog: It's that time of year! Our year-end is upon us and we have to count our inventory! 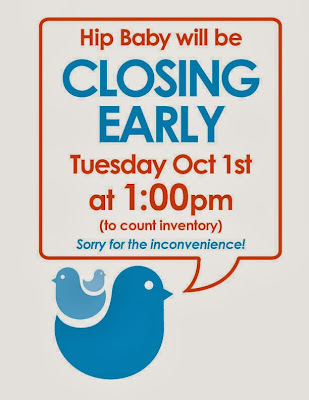 We'll be closing early, at 1pm, on Tuesday, October 1st at our Vancouver location. Sorry for the inconvenience!